Registration has opened up for the 2013 Microsoft Imagine Cup for sudents aged 16 and above. The technology competition is in its 11th year, and to more inspire students and encourage a wider variety of aspiring innovators to participate, Microsoft has redesigned the Imagine Cup to cover the World Citizenship, Games and Innovation. If that wasn't enough, the prize money has been raised to $300,000 (US). 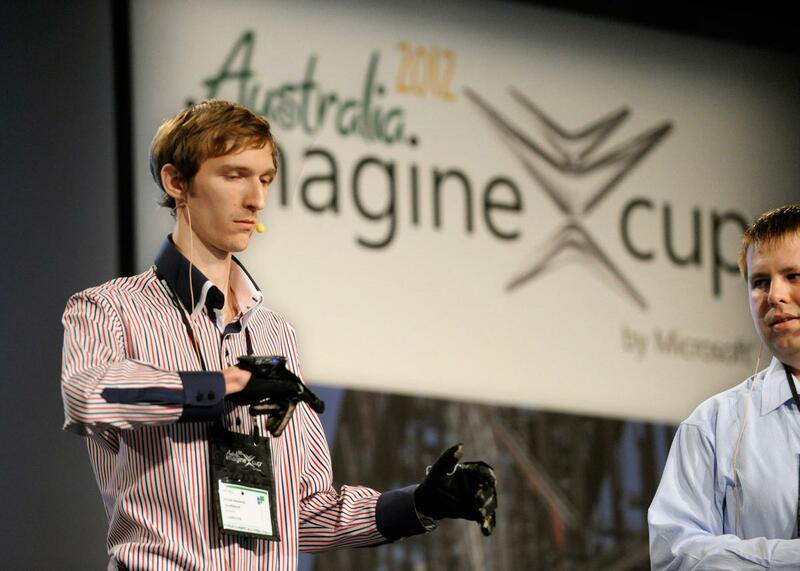 We previously looked at the winners of the 2012 Imagine Cup, quadSquad, who created a company called enable talk around their gesture technology. They managed to solve the sign language + mobile phone problem by having users wear special sensory gloves that detect the signing. That data is then sent to the Windows Phone where the software takes over, converting the sign to spoken word. enable talk uses Microsoft’s text-to-speech feature to “say” the whole word once it’s signed, giving signers a way to verbally communicate with those unfamiliar with the language. Pretty neat. In addition to the above competitions, students who decide to participate in the 2013 Imagine Cup will also be able to register and compete in online challenges focused on specific Microsoft technologies and platforms, which include Windows 8, Windows Azure and Windows Phone. "Imagine Cup is the beginning of a lifelong journey for a young entrepreneur, inventor, designer, developer or innovator. With the evolution of Imagine Cup, we're further inspiring students from all academic backgrounds to collaborate on applications and seize opportunities post-Imagine Cup to polish their applications, gain the support they need to bring their technology to market, and fully realize their potential to impact their local communities and the world." The next Imagine Cup will take place in St. Petersburg, Russia between July 8-11 2013. Finalists will also have the opportunity to apply for Microsoft Imagine Cup Grants as part of a three-year $30 million investment by Microsoft to support students in turning ideas into reality. Potential participants can register their interest on the Imagine Cup website.